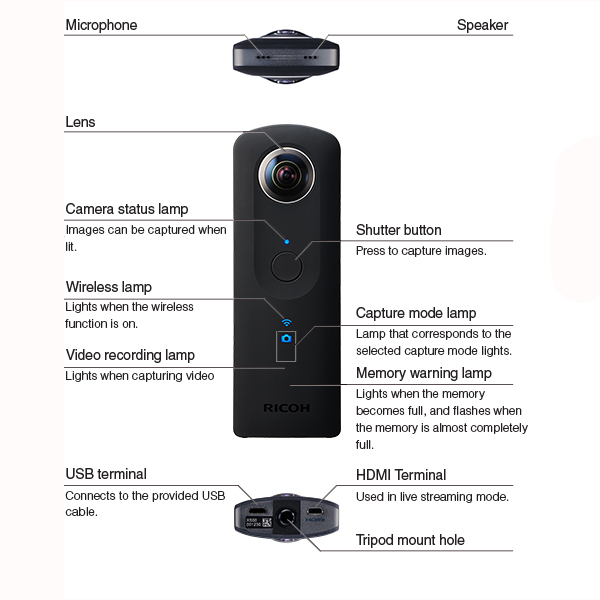 Experience a new world of images with the Ricoh Theta S. With one touch of a button, spherical images and videos are created which are unlike anything you’ve ever seen. 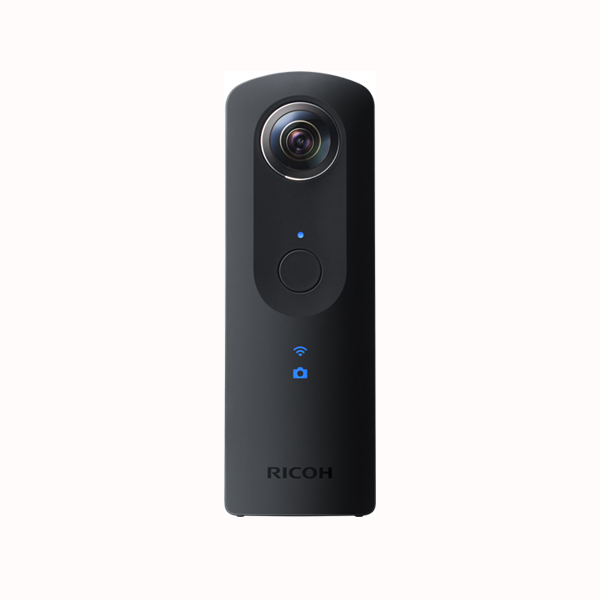 Experience a new world of images with the Ricoh Theta S. With one touch of a button, spherical images and videos are created which are unlike anything you’ve ever seen. The Theta S offers capabilities not previously attainable in past models including a new, a larger image sensor, which gives you approximately 14 megapixel, high-quality spherical images and Full HD movie recording up to 25 minutes. 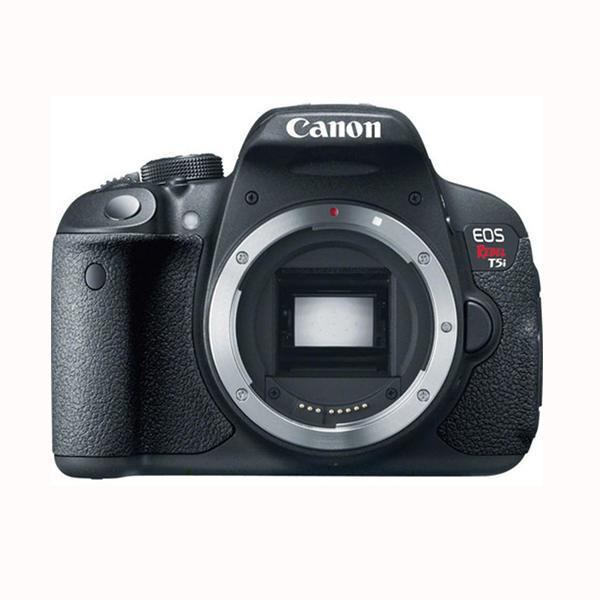 Improvements have been made for low light shooting including the addition of a newly developed bright f/2.0 lens along with the option to shoot in Manual Mode and set shutter speeds up to 60 seconds, built-in memory to store up to 8GB of data, as well as live view and live streaming functionality. 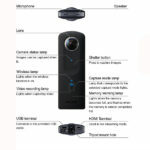 Discover 360-degree images and videos, the future of digital photography. Easily capture and share everything in your environment with the Theta S. Featuring a twin-lens folded-optical system, view and share completely spherical images. 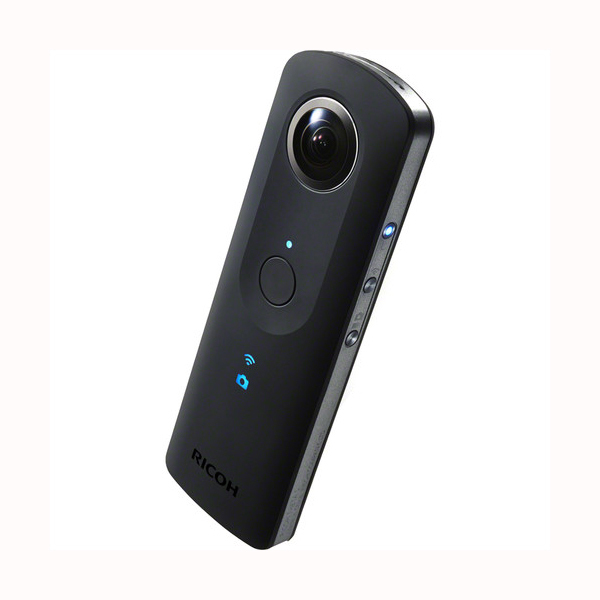 Equipped with a larger (1/ 2.3-inch) image sensor, enjoy high-quality spherical images at approximately 14 megapixels, the best quality of all Theta models. The Theta S features a newly designed lens, optimized for the new sensor, providing sharper images than previous models. Added to the Theta S is an LED status notification on the body of the device, which allows you to switch between still image and movie mode more easily than previous models. Wi-Fi speed has also been upgraded to 8Mbps, as well as built-in memory to store up to 8GB. Improved hardware enables 30fps of Full HD original data. Recording time is also improved to a maximum of 25 minutes. The Theta applications allow for easy shooting and sharing of your spherical images and videos. From the applications you can capture still images and videos, employ full command and control over various shooting modes, and share your spherical images and videos directly to social media. Additional Theta applications will allow you to edit your spherical images to the way you want them to be. Live View function is added with still images. With this new function, 10fps images are displayed as a preview on your smartphone. Enjoy live streaming when your device is connected to either a USB or HDMI cord.